October 8, 2014 is International Walk and Bike to School Day. If your children will be walking or biking to school on Wednesday, take some time to go over our pedestrian safety tips with them. Always wear a bike helmet when riding a bike. 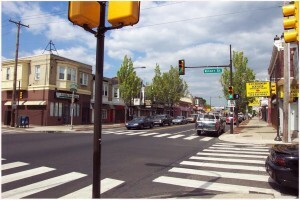 Use crosswalks with crossing the street or cross at street corners. Be aware of the cars around you. Stay alert for those that are turning, backing up or pulling in and out of driveways. Be sure to use sidewalks when available. If there is not sidewalk, travel on the shoulder of the road and face the oncoming traffic. Avoid using electronic devises when crossing the road. If you must use a cell phone while walking or biking, stop and find a safe place to use it. Make eye contact with drivers before crossing so that you know that they see you. Pay attention for cars backing out of driveways or out of parking spaces as well as those that are turning. Do not enter the street from behind parked cars. The parked car will block you from the view of oncoming drivers. Be alert for cars moving in or out of driveways. Wear light or reflective clothing especially if you must be out walking/biking after dark. Stick with your normal walking/biking route or use only parent approved alternatives. For children aged 5 to 19, pedestrian injuries are the fifth leading cause of injury-related death with teens accounting for half of those deaths. Take time to walk around the neighborhood with your kids and set a good example. Only walk or bike routes that you’ve approved for them to travel when you are not present. Make sure they know the safest routes. Provide them with reflective clothing or reflective stickers for backpacks and book bags. Remind them to speak up and warn others if they notice another pedestrian in danger.